Local business Nash Industrial Services Ltd has been awarded accreditation from Safecontractor for its commitment to achieving excellence in health and safety. Employing over 95 people, Nash Industrial Services Ltd is principally involved in the Industrial Cleaning and building contracting sectors, specialising in the these industries and with a multi-million pound turnover. Nash Industrial Services Ltd most recent clients have included major players such as E.ON, Lafarge Tarmac, Federal Mogul, Hargreaves, L Hoist and Dairy Crest to name but a few. 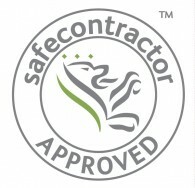 Safecontractor is applicable to most sectors although it is particularly relevant to the quarry industry, food manufacture, property, facilities management, retail and leisure sectors, all of which are big users of contracted services. “More companies need to understand the importance of adopting good risk management in the way that Nash Industrial Services Ltd has done. The firm’s high standard has set an example which hopefully will be followed by other companies within the sector.